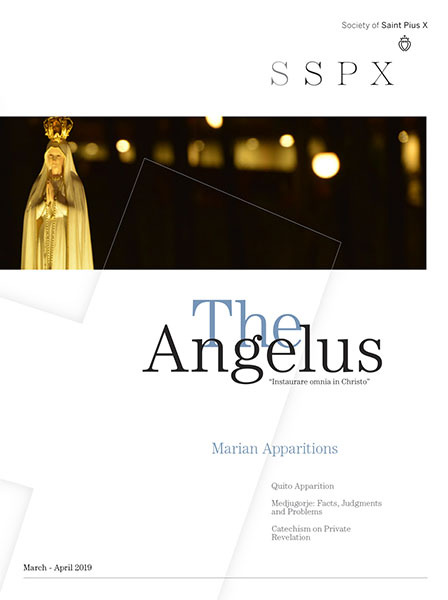 This issue of The Angelus is intended to acknowledge the existence of a new and invasive lifestyle, to appreciate its advantages, and acknowledge its pitfalls. All technology brings with it new and marvelous possibilities in which we are allowed to partake. But an honest analysis will allow us to draw the line between the admirable, the useful, and the harmful. Should we be concerned about the social consequences of the Internet? Does the internet affect the way we think? 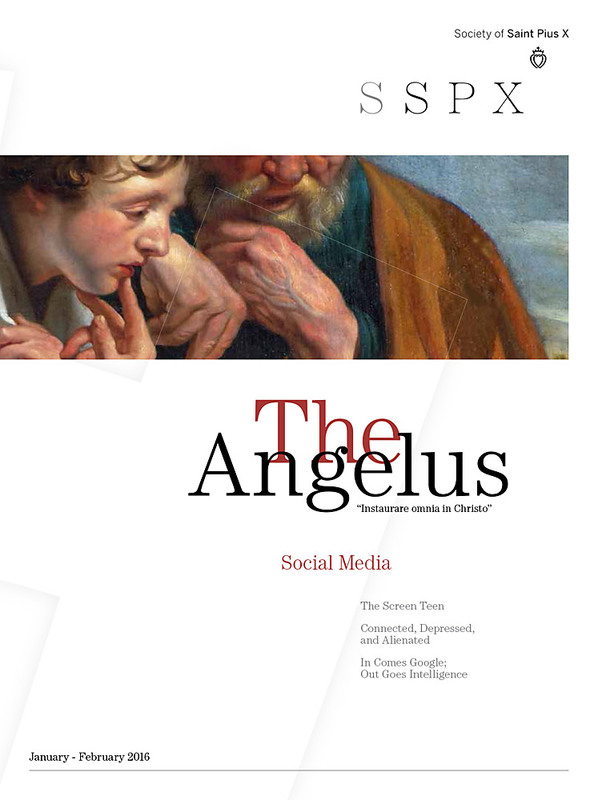 From Pope Pius XII to the present day; Rome speaks about the dangers of modern media. Words from the liturgy can sanctify and illuminate the ready mind; a good musical setting draws the mind upward and makes the splendors of their meaning all the more evident. For the first time a Council decree looks positively on the non-Christian religions and calls for dialogue in order to convert the false images Catholics have about other religions.